I need your help. I have seen recent post regarding CPU upgrade but I would like to have a narrowed down advise between the two, 8700K v 9700K. I use P3D v4.4 with FSL. At the moment I am using 6600K Oc to 4.5 Ghz. 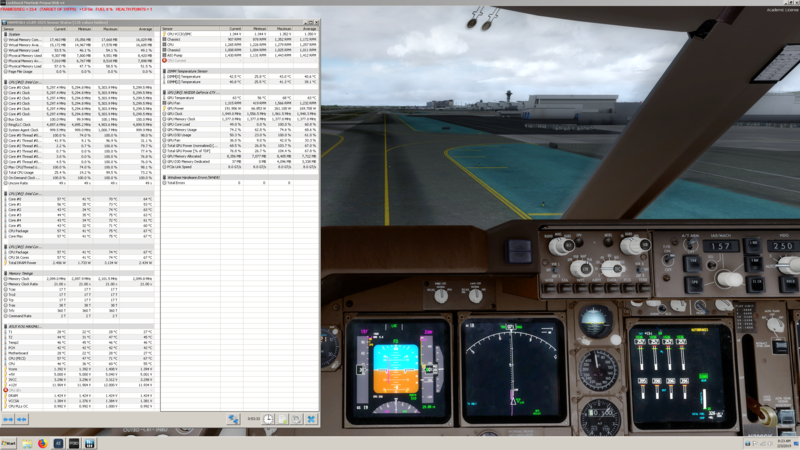 That is the highest I can get and I get stutter here and there during take off and approach. I am still not sure which road I should go. 8700K has 6 core with HT and 9700K has 8 without HT. Which do you think will be best to upgrade to and if you have any personal experience with this. I recently upgraded from a 6600K OC to 4.5 GHz to a 9700K OC to 4.9 GHz (cannot keep stable higher that 4.9, but I've seen others achieve 5.0+ ) and I am happy with it. I chose the 9700K over the 8700K because I mainly use this computer for P3D v4.4 and don't really need HT (with the 8700K, I would have disabled HT anyway for better P3D stability) since I don't use any software taking advantage of HT (no video editing etc...). Going with 8 cores was the logical choice in my case and I see P3D using them all with less micro-pauses compared to my previous 6600K. If, like me, your main use is P3D, then the 9700K might be a good choice. The 8700K is still a very good CPU, easily overclockable to 5.0 GHz, but might generates more heat when OC than the 9700K in my opinion. At 4.9 GHz, my 9700K is cooled on air with a Noctua DH-U14S and runs between 60-65C under load, with a few short peaks at 70C. The below graphic says the extra cores on the 9700 are useless is the captured scene. Furthermore, the graphic shows us that the nearly completed sfo to lax flight was pretty darn tough on the system ...but the humble 100i V2, with no help from the two sleeping stock case fans, was able to keep things fairly cool -ambient 73F. Not throwing shade on the 9700 as I think the cpu is more than capable. Glad you asked ....but it's not that easy. 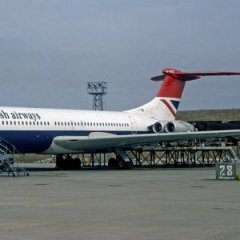 Are we talking p3d v4? If so, there's heck of a lot more going on than meets the eye. The below link is an image of same flight but on the ground. Notice the real time core usage? there's only a few cores working, right? Also, notice the frame rate? I could have a hundred cores on the cpu and I'd still have only a couple cores working for me with same frame rate as the linked screenshot. The only thing that's going help me get that fps up while on the ground at this airport is faster cpu speeds (memory helps, too) not more cores, am or hyperthreading. The extra cores on the 97xx and 99xx are nice, and as Steve W. has pointed out, with some fancy AM can get the cores to work as effective as a 6 core running a few GHz higher .....but this typically is only true at cruise altitude. On the ground taxing, during take-off roll and rotation, on the short-final, during flare and landing roll at a mega airport ...it's all about Mhzeees. Myself, I recently chose the 8086 over the 9900K. I felt I could not only get a superior overclock with the 8086 but also superior memory/cache performance over the 9900K. Oh, and the six cores are plenty. edit: Oh, I do have an 8600K just sitting here in front of me not doing anything ....will do 52/48 all day long. Oh, and the IMC on thing is not bad either. Interested? ....Take a chance on the 8600k over the 9600K, if budget is important. But I'd probably take the 8700K or the 9700 over the 8600K and 9600K if I was starting from scratch and on a budget. 8600K and 9600K or 8700K and 9700K, price-wise there is little to no difference here in NL. Budget is not the biggest problem but I would like to get the best performance to price ratio. I was thinking if I go for 9600K I can OC it to around 4.9/5 that would be good. I could save some money to go for a good motherboard that is good for OC. It makes no sense if I go for 9700K while I can achieve the same result with an OC'd 9600K since you said that core is not the most important but more freq. 9700K hands down over the 8700K. In complex scenery the 8 core processors will have better scenery loading. I could easily saturate the cores of a 9600K in ORBX regions with complex airports. I see no point going with a 6 core cpu. If I was going to upgrade now that's what I would do. If you are on a budget the 9600K is an excellent choice. Over clocking I could reach 4.9ghz. My 9700K would reach 5.1ghz. But moral of the story the extra two cores does make a difference. Not a huge difference but noticeable. My 8600K could do 5.0 / 4.6 ring with mems at 4133 c17 out of the box. Before I retied it, it was doing 5.2 / 4.8 4200 c17 ....with latencies well under 40ns. heck, I'd venture to say that not even 20% of the 9900k's can do that. My 8086? ....destroys my 8600k on every level. Complex scenes? While airborne 9700 cant do it any better ....maybe a lil easier but probably not better, unless you're doing something exotic, but when you get to the airport you're going to wish you had more horse power. Very few 9xxx can match the average 8xxxx in max clock speeds. 8086K is a impressive cpu. Do you use HT? aida to match hwinfo ...what I'm running at now . That is a lot of number to crunch. Maybe I am wrong but it seems that 8086K is like buying i7 that wins a silicon lottery, no?! I used to own i7 2700K and that beast I could overclock to 4.5 or even more with no penalty. This 6600K of mine is struggling to keep on 4.5, I have to play a lot with vcore. I don't think I can justify getting 8086K at the moment, the price is just insane. Now, I am leaning more on 9700K and hopefully winning another silicon lottery. You won’t be disappointed with the 9700 ....a significant upgrade over what you have now and nearly plug-n-play. 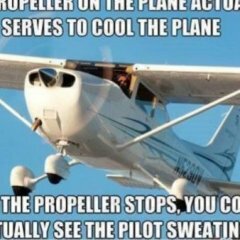 Either cpu will run p3d like a charm. The guys that claim that eight cores is of no benefit have not done a valid comparison. 5.1 on all cores? Temp and cooling? My 9700K at 5.1 on all cores runs mid to high 70’s with a h110 AIO cooler. This is in P3D under the highest loads I can create within the sim. Yes on all cores using a Noctua﻿﻿﻿ DH-U﻿14﻿S﻿ and thermal grizzly Kryonaut compound. I used AI Suite software by ASUS to over clock all cores. I will let it record the temps while on full load running P3D, but it has been rock solid stable. I am very impressed with this build so far. Good old Noctua. 🙂 In fact there's a new version of the NH-D15 on the way that cools even better. Nice to see them still competing with AIO's. I use Kryonaut too, and Conductonaut between die and IHS on my 8700K. I've used Ai Suite in the past to overclock and found it pretty good. That was Five Way Optimisation. 5WO overclocks and stress tests multiple times, gradually increasing the overclock incrementally, the same way an experienced overclocker would.. In your case for Z390, that would be the new auto overclock version, called Ai Overclock. Different approach than 5WO. I believe you run a stress test prior, and the Ai Overclock estimates your max overclock. It also monitors in real time and clocks back if the cooler becomes clogged with dust or the ambient temp changes. Smart prediction and thermal telemetry Asus call it. Nice result Matt. Seems like a great CPU the 9700K. No HT which helps keep the temps down. That is absolutely right. I see my own old 3930K w/ HT enabled getting fully slammed all 10 core the sim plays with. If you're talking main thread 'fps' then not necessarily, but if you look at total performance including scenery loading (and with it reduction in microstutters) then absolutely 9700K looks better. In fact, w/o testing I'm not sure if 9900K wouldn't be best by a slim margin, i.e. hyperthreaded. Edit: for those overclocking the 9700K to 4.9...is it air cooled or water cooled?